Lord Aldrius Norwington: I like the cut of your jib, friend! I’ll tell you what. The rest of the partygoers should be arriving any time now. Would you do me the honor of retrieving my favorite horse from the estate on the hill? 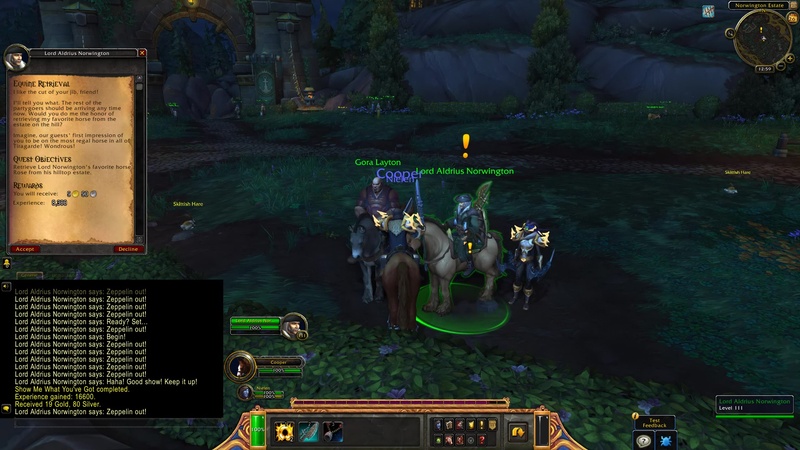 Imagine, our guests’ first impression of you to be on the most regal horse in all of Tiragarde! Wondrous! 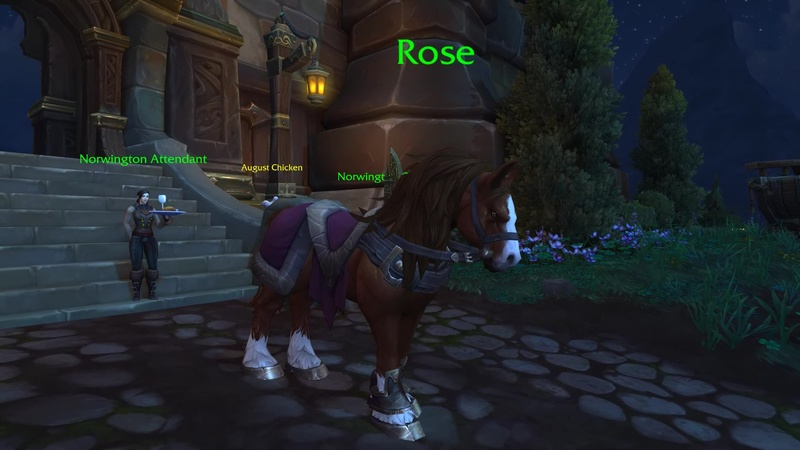 Retrieve Lord Norwington’s favorite horse Rose from his hilltop estate. TIP: Ride up to the Norwington Estate House. By the stairs, you will find the horse named Rose. Click it to mount it. Ride down the hill to Aldrius’ new location. Norwington Attendant: Welcome to the estate house. Please, help yourself and let us know if there’s anything we can aid you with. 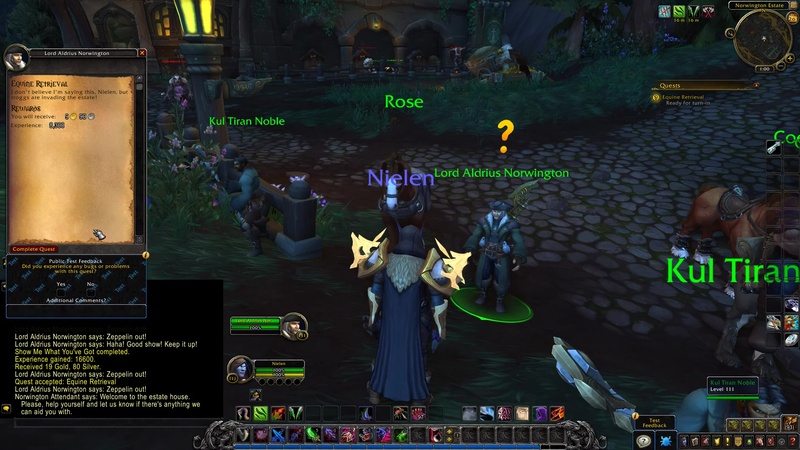 Lord Aldrius Norwington: I don’t believe I’m saying this, (Name), but troggs are invading the estate!